We're located one district away from the noisy city centre. Why stay in concrete jungle when you can be surrounded by trees, lawns and birdlife? Best of all, you'll still be a five-minute walk from the best restaurants and cafes in the city. We offer FREE UNLIMITED Wi-Fi at check-in. Check out our deals tab above for our special 25% off Winter Special deal! Our very quiet and clean hostel features a fully equipped kitchen with lots of free herbs, spices and sometimes home cooking. There's a log fire to heat the common areas and rooms have their own heating as well. A 24-hour shuttle service to and from the airport is available. 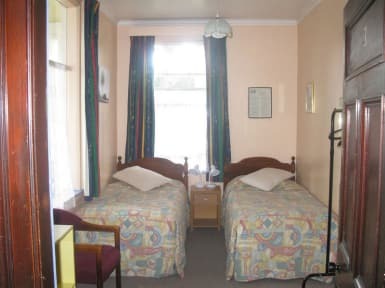 It's no wonder we're consistently rated as one of Aucklands top hostels! 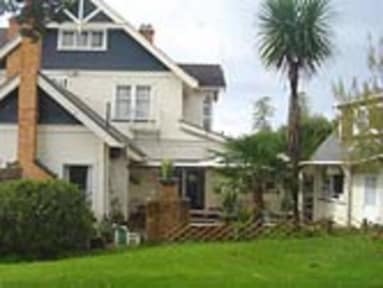 We were rated the sixth-best hostel in New Zealand at the 2012 Hostelworld.com Hostel Awards and we've received excellent reviews in Lonely Planet, Hostel World, Trip Advisor and Rough Guide. Check-in time around 11am but if you arrive early you are welcome to free coffee and tea while you wait in our comfortable lounge or relax in the hammock on the sunny veranda. We LOVED staying here! Initially we had just booked as a last minute stay for our trip to Auckland but ended up getting sick and booked another few days as we recovered. The staff were fantastic and the value for money was really surprising since we've stayed in Auckland many times for way more in not-as-nice hostels. Extremely clean,quiet, parking available, and really convenient area (if you walk like we do 30 min to CBD). Do yourself a favour and book a room here,you won't be disappointed! I enjoyed my stay and meeting new people from around the world. I was in Auckland for training course and felt welcomed by the staff. Thank you I would return there again if I have another course there. Just worth it for the great atmosphere. What you see is what you get and that's what you pay for. Would and am going back. We had a great time at city garden lodge and met a lot of people there. It‘s like a little family there. I personally like that it’s not in the middle of the city but not too far away. They cleaned every day so that was nice. I mean it’s a hostel so you shouldn’t have too high expectations but we loved it there. There are not enough forks and spoons, especially in the evenings and there are not many glasses either so that’s maybe a negative point. But it’s definitely a good place to stay . Good all round. Easy access to city. Dilapidated accommodation. Free parking in front of the accommodation available for only 3 cars without blocking other drivers in. Other parking is available only overnight. Vehicles can only park for two hours during daytime (08:00 - 18:00). Duvets dirty. Kitchen small. I got there at 2 pm and the office was closed. Came back at 5 pm and the office was just about to close. Parking isn’t ideal . There are only about 5 spots in the driveway and you have to find the other people if you need to get out ! Parking on the street is only for 2 hours unless it is the weekend or after 6. Also there was a stolen car notice . About a 30 minute+ walk to the city center. The atmosphere is chill The building is an old run down mansion that hasn’t been upgraded.